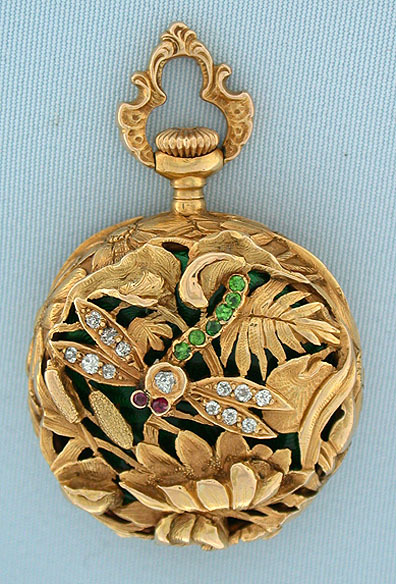 Fine and beautiful 18K gold, diamond, precious stone and enamel Art Nouveau ladies Swiss antique pendant watch circa 1895. 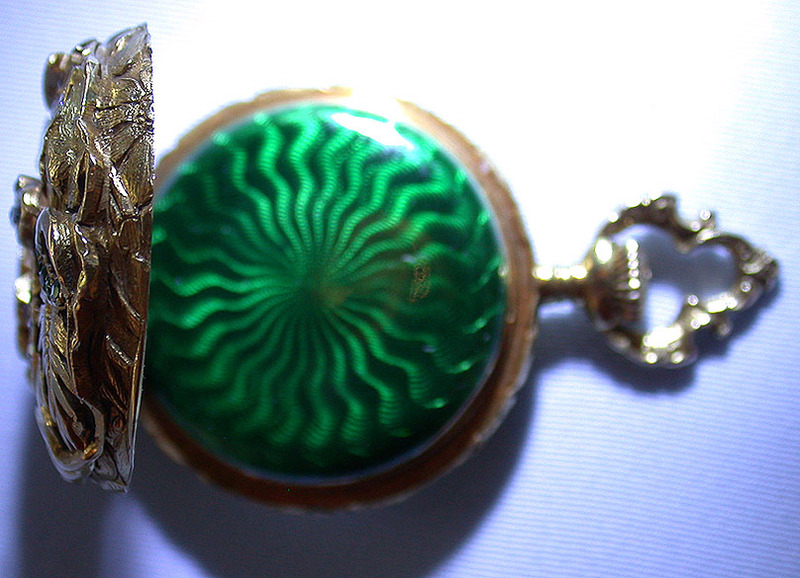 The exceptional case cast chased and pierced with a stone set dragonfly amidst abundant foliage. The design continued around the side and front of the case as well as the bow. The dust cover in brilliant green enamel (small repair) over an engine turned background. 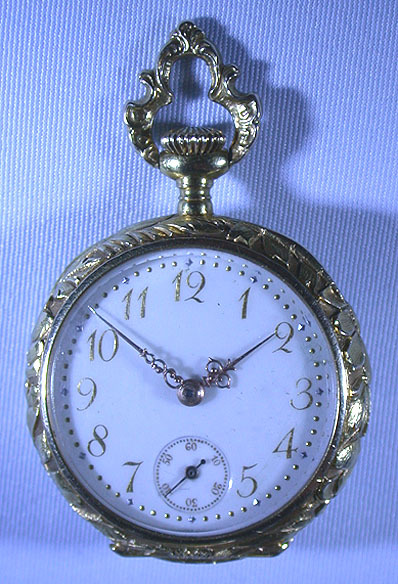 White enamel dial with gold markings and fancy gold hands. 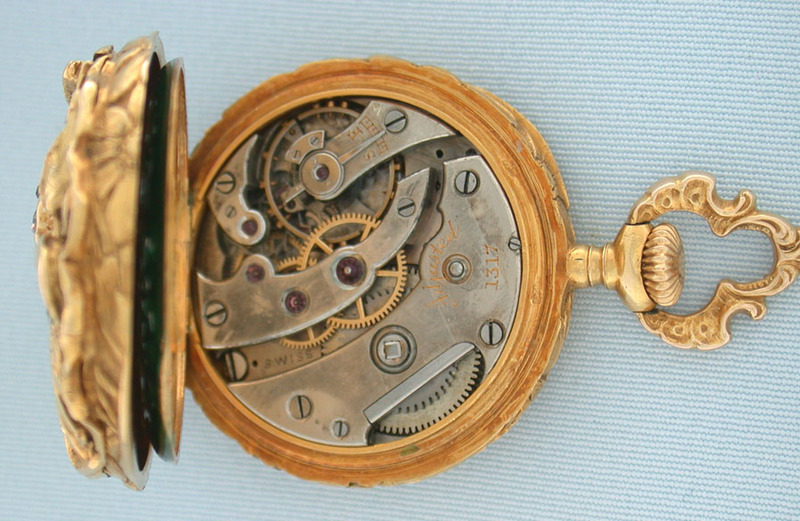 Nickel 18 jewel adjusted movement.